Waterfall Info: This is the upper of three falls on low-flow Falls Branch. It's best seen during periods of high flow. The falls is named after the nearby remains of a moonshine still and is marked on the old Hemp Top USGS topo map. 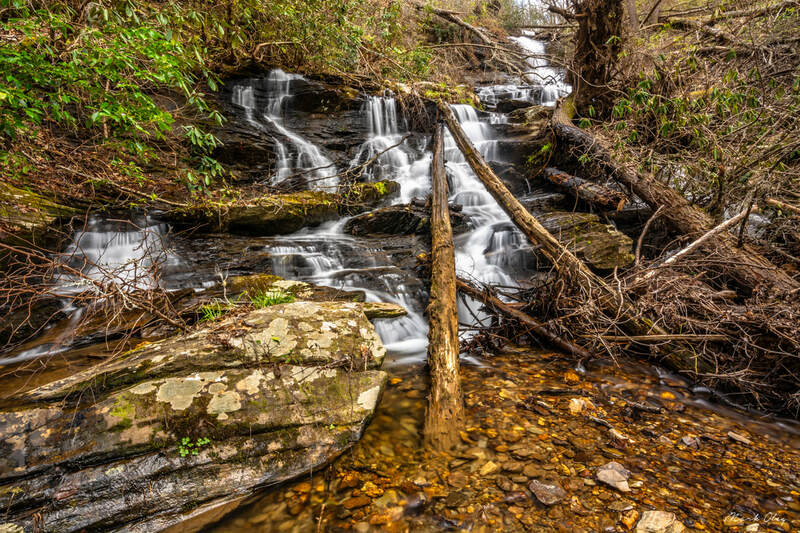 Access Info: To get to Moonshine Falls, first follow an unofficial horse trail from the Horseshoe Bend Trailhead off FS 51 (East Cowpen Road). Then, leave the trail and make a fairly open bushwhack to the falls.